Roof shingles play an important role in protecting and preserving the stability of your home from the different weather conditions. In cases of anomalies or inconsistencies with your roof shingles, the environmental setbacks outside your home could potentially damage your property. Perhaps the most recent update to roof shingles are the solar shingles. 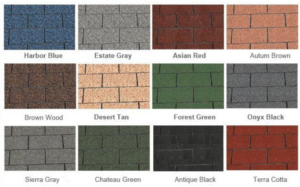 This type of shingles has managed to evolve from what was once large black panels to panels that are able to properly blend with other roof materials. This type of roof shingle is sought by individuals who wanted a long-term investment, which may be obtained from the power bill savings. Wood shingles are popular among homeowners that are into a rustic charm and natural look for their roof. This eco-friendly material offers a different type of colors and textures, which may affect the heat absorption and indoor temperature. Hence, leading to a lesser use of AC units and other cooling systems. Additionally, wood shingles also help in achieving a refined Victorian style of abode. This type of shingles is available in two types, the three-tab shingles, and the laminated shingles. It is perhaps one of the frequently used roofing material because it is extremely affordable and flexible to use. 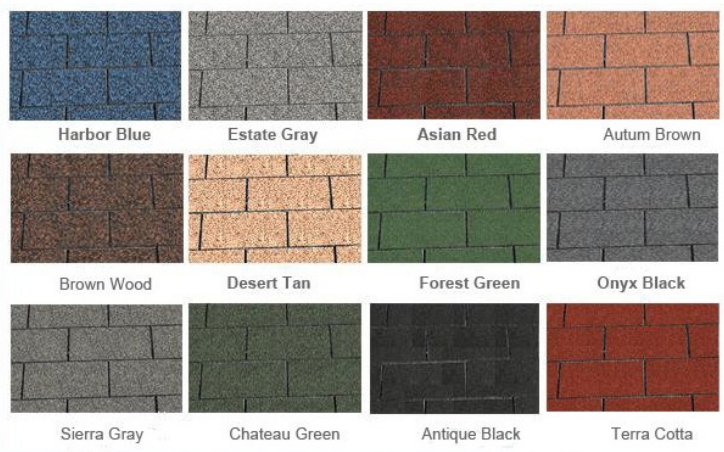 This type of shingle material is chosen by many for its reliability and durability. Since it is made up of metal, it is long-lasting and fire-resistant. Homeowners have the option to choose from the different sub-classification of metal shingles, for metal shingles could either be steel, aluminum, copper or even mixed. Roofing contractors also love this type of roof shingle because it is easy to install. Homeowners wanting to try shingles that are proven and tested may want to check the slate roof. Slate roofing has been around for centuries, and they still being used now due to their durability and attractiveness. Apart from the type of roof shingle to use, homeowners should also consider the color and style of the roofing material. The best roof shingle materials are those that will complement the current design and architecture of your house. Although it is tempting to try something new and different, you should still consider how such action may affect your home’s value and aesthetics. After considering the type of material and how it complements to the current home design, another consideration to take when choosing the best roof shingle material for your home is the local climate of your place. There are certain areas or environments that may require specific roof shingles to maintain not just the beauty of your home but also its stability. In choosing the best roof shingle material for your home, it is best to consider the tips listed above. If you still have any questions about what would be the best type of shingles for your home, you can contact us at Carolina Storm Roofing – your local Charlotte roofing contractor and, to take a look and help you decide. Carolina Storm Roofing has been serving Charlotte, NC for over a decade delivering quality roofing workmanship to the residents. As a top rated roofer in Charlotte and also one of the best Mooresville, NC roofing contractor, we owe our success to our team’s hard work and dedication as well as our loyal and trusted Charlotte homeowners. We look forward to your continued support! Contact Us Today!